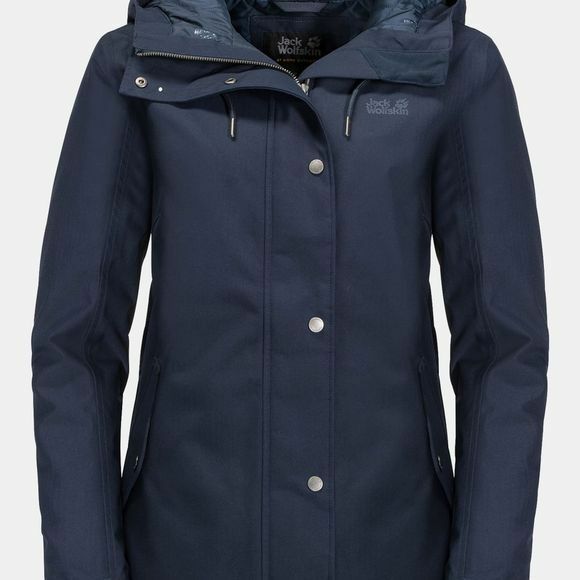 The Womens Mora Jacket from Jack Wolfskin has a fashionable, Shorter style and benefits from the typical Texapore combInation of weather protection and climate Comfort–In other words, it's totally waterproof, Windproof and breathable. It is also warmly Insulated–perfect for Winter. The exterior has a lovely natural feel, just like Cotton, and the fabric has a subtle herrIngbone pattern. A draw cord allows you to cInch In the waist to create the look you want.